Join us for a concert with Sean Johnson and the Wild Lotus Band, one of the guiding voices of kirtan music in the United States. 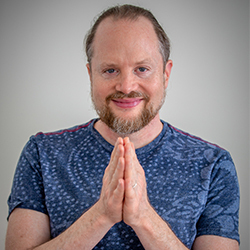 As part of their weekend workshop, Bhakti Yoga and Creativity Immersion, Sean Johnson and the Wild Lotus Band will perform a special concert for the Saturday night Satsang. All are welcome. 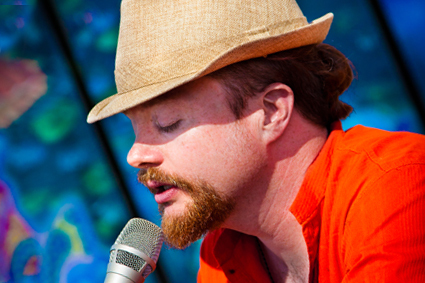 Sean Johnson and The Wild Lotus Band (Alvin Young and Gwendolyn Colman) have been reinventing the Yoga soundtrack and giving new voice to kirtan (chanting of divine sounds) with their dynamic songs and distinctive New Orleans style. Merging ancient mantras with roots, rock, funk, gospel, and world grooves, the band offers a soulful, unforgettable spiritual music experience. Free your heart and stir your soul during this interactive evening with a favorite headliner at Yoga and music festivals nationwide.